The act of the Confederate Congress that created the Confederate Navy on February 21 1861 also appointed Stephen Mallory as Secretary of the Department of the Navy. Mallory was experienced as an admiralty lawyer in his home state of Florida, and he had served for a time as the chairman of the Naval Affairs Committee while he was a United States Senator. The Confederacy entered the war with little naval capacity and had only limited resources to overcome its deficiencies. In fact, in 1861 the Confederacy was almost destitute of the means for pursuing a modern naval war. The Confederate Navy could never aspire to equality with the Union Navy, so it relied on technological innovations, such as ironclad warships, submarines, torpedo boats and naval mines (torpedoes) to gain local advantage. No serviceable US Navy vessels fell into Confederate hands intact, except for the Fulton, an old side-wheeler built in 1837 and laid up at Pensacola, and the sunken and half-destroyed hulks at Norfolk. Of the latter, only the Merrimac could be repaired for use after extensive conversion. Seizure of other United States vessels included six revenue-cutters, the Duane at Norfolk, the William Aiken at Charleston, the Lewis Cass at Mobile, the Robert McClelland and the Washington at New Orleans and the Henry Dodge at Galveston. They also acquired three coast-survey vessels, the schooners Petrel and Twilight and the steam-tender Firefly; and six or eight light-house tenders. These were all small, and most were sailing vessels of little military value. Several coasting or river steamers belonging to private owners were taken or purchased by the Confederate Government. The James C Dobbin was seized at Savannah but was soon released. The most important acquisitions were the Jamestown and the Yorktown (renamed the Patrick Henry) at Richmond, the Selden at Norfolk, the Beaufort, Raleigh, Winslow and Ellis screw-tugs on the Chesapeake and Albemarle Canal; the side-wheel passenger boats Seabird and Curlew in the North Carolina Sounds, the Nashville at Charleston and the Everglade at Savannah. The Star of the West was on transport service to Indianola in Texas and was seized in April 1861 by a party of Texas volunteers. Renamed the St Philip, the ship was stationed at New Orleans as a receiving-ship and was forced to escape with other vessels up the Mississippi River and took refuge in the Yazoo. In March 1863 it was sunk to barricade the river. By February 1861 the Confederate Navy counted thirty ships, of which only fourteen were sea-going, while the Union Navy had ninety vessels. The Confederate Navy eventually grew to a total of 101 ships to meet growing threats from the US Navy along its coasts, against its ports and fortifications and along the inland waterways. The Confederate Navy demonstrated a high degree of enterprise, originality and resourcefulness; attributes driven by necessity and desperation. The Confederacy began the war without a single vessel capable of being fitted out as a warship. The Navy Department erected a powder-mill, engine-shops, boiler-making facilities, machine-shops and five ordnance workshops. A rope-walk was built to turn out eight thousand yards per month in addition to the eighteen shipbuilding yards already planned and in operation. There were only two Navy yards in the South; one was at Norfolk and the second at Pensacola, which was not fitted for construction work but only for repair and shelter. It could be adapted to the construction of ships, but the Union held the fortifications that guarded the entrance to the harbour and blockading squadrons soon supplemented their defences. There was a less extensive yard at New Orleans. The spring of 1862 saw the loss of all three Navy Yards at Norfolk, Pensacola and New Orleans and after this date the Confederacy had no major well-appointed shipyards. Nevertheless, numerous contracts were entered into around the country, and the construction of small vessels continued throughout the war. There were a few small private shipyards scattered throughout the South, but none had the plant necessary to build and equip a warship of even moderate tonnage. The construction of vessels for the Confederate Government on the Mississippi River was executed with great difficulty, owing to the shortage of iron and the absence of suitable workshops and tools. In 1861 the only foundry or rolling-mill of any size in the Confederacy was the Tredegar Iron Works at Richmond, and all principal work in ordnance and armour was carried out here. Tredegar was the only plant that could supply large-calibre guns. Foundries and rolling-mills were eventually established at Selma, Atlanta and Macon. A smelting-works and a rope-walk were set up at Petersburg, a powder-mill at Columbia and an ordnance-foundry and chemical works at Charlotte. These works supplied some ordnance and equipment, but they could not build ships. Only one manufacturer was able to construct engines of sufficient power to propel a large gunboat; there was a scarcity of iron, and no factories were equipped to roll two-and-one-half-inch plate armour for ironclads. There was wood to build wooden ships, but it was standing in the forests, uncut and unseasoned. An additional obstacle in the path of the formation of a Confederate navy was the fact that European nations issued proclamations of neutrality almost immediately. These proclamations allowed ships of either navy to enter harbour for the repairs or to obtain supplies, but no ship could reinforce the crew or make any alterations other than repairs necessary to make the craft seaworthy. No ordnance or contraband articles supplies could be loaded, and they could load only enough coal to carry them to the nearest port in their own country; they could not replenish coal in the harbour of any one power more than once in three months, except by special permission. Many officers left the United States Navy, either by resignation or dismissal, to join the Southern causes. Many of the men who left Federal service were commanders of ships but without exception they returned the ships entrusted to them to the Federal Government before leaving the service. Several officers aboard vessels in Southern ports sailed to the North with their ships before going south again to join the Confederates. Sixteen captains, thirty-four commanders, and seventy-six lieutenants, together with one hundred and eleven regular and acting midshipmen, resigned from the United States Navy. In all, 243 line-officers and 79 officers joined the Confederacy. They were attached initially to State organizations but during the spring of 1861 they were gradually enrolled in the navy of the Confederate States. The Provisional Congress meeting in Montgomery accepted these men into the Confederate Navy at their old rank. In order to accommodate them they initially provided for an officer corps to consist of four captains, four commanders, 30 lieutenants, and various other non-line officers. On 21 April 1862, the First Congress expanded this to four admirals, ten captains, 31 commanders, 100 first lieutenants, 25 second lieutenants, and 20 masters along with many more non-line officers. In 1863, a naval academy was established under the command of Captain William H Parker aboard the steamship Patrick Henry in the James River. The Confederate navy was more fortunate with its personnel than with its vessels. The Secretary of the Navy was Stephen R Mallory, who had been the chairman of the Naval Committee in the Senate for several years before the war. He had a good knowledge of the demands of a modern navy and he demonstrated vigour and innovation. He was surrounded by officers of conspicuous ability in the old navy. While the foreign-built fleet was being acquired Mallory organised his department to provide for all naval forces. He organized a bureau of orders and details, a bureau of ordnance and hydrography, a bureau of provisions and clothing (which also had charge of the paying of the naval forces) and a bureau of medicine and surgery. These bureaus were for the most part competently led. Although the South was generally deficient in numbers of seamen and mariners as the seafaring population was low, sufficient men enlisted to man the small number of ships in service. Men who could not be sent to sea were usually assigned to garrison forts along the coast and rivers or, at times, served in the field with the regular army. The number of enlisted men in the navy at any given time was probably less than four thousand, but as they served mainly in detached enterprises an extensive force was never required. In 1862 the press and public of the South railed against the succession of naval disasters and a Congressional committee made an exhaustive investigation of the department. Nothing of importance was disclosed except the parlous circumstances at New Orleans in 1861-1862. Before the outbreak of hostilities, Commander Raphael Semmes was sent North to secure arms and ammunition and, if possible, to find ships that might serve as a nucleus for the navy of the Confederacy. A large amount of ordnance and supplies was delivered or contracted for, but no vessels could be found for service on the high seas. Semmes returned to Montgomery, Alabama, twelve days before the firing on Fort Sumter. Meanwhile, other agents of the Government attempted to find and buy suitable ships in the Southern harbours. All were reported as unsuitable for service as naval vessels, but one ship was taken into New Orleans for transformation into a gunboat for raiding the commerce of the North. The plans for the reconstruction of the vessel had scarcely been completed when war broke out, and this ship became the first warship in the Confederacy, renamed as the CSS Sumter. On March 15th 1861 the Provisional Congress authorised the construction or purchase of 10 steam gun-boats of 750 to 1,000 tons. By the latter part of 1862 the Navy Department had purchased and altered 44 vessels, had built and completed 24 more and 32 others were in process of construction. Most of these vessels were small craft, only suitable for detached local employment in rivers and harbours. The more formidable Tennessee and Arkansas were built at Memphis in the winter of 1861-1862 and covered with railroad iron. The Arkansas was completed and taken to the Yazoo River in April 1862 but fell victim in August 1862 to defective engines. The Tennessee was still on the stocks at Memphis when the Union fleet arrived, and it was burnt before being launched. At Mobile, the second Tennessee was a much more powerful vessel, but its engines were transferred from a river steamboat. The ship was captured in its only engagement, after attacking single-handed an entire Union squadron. At Savannah, the Atlanta was a converted blockade-runner with a casemate covered with four inches of armour was disabled. The ship was defeated by four shots from the US monitor Weehawken. At Charleston, four casemate ironclads were built: the Palmetto State and Chicora in 1862, the Charleston in 1863 and the Columbia, which was unfinished at the close of the war and was captured after the evacuation of the city. The other three were blown up at the same time. In North Carolina two ironclads were projected for service in the Sounds; one was to be built on the Neuse River and the other on the Roanoke. The first was destroyed before completion, but the Albemarle was fully armed and equipped. It helped to capture Plymouth and fought a with a squadron of Union double-enders. After a career of six months, she was destroyed in an audacious “special operation”. The last and most effective naval force was the James River Squadron. After the destruction of the Merrimac/Virginia in May 1862, and the abortive attempt of the Union Navy to pass up the James River to Richmond, a fleet was gradually constructed and fitted out for the defence of the capital. The Patrick Henry was assigned to the Confederate Naval Academy while the Beaufort and Raleigh arrived at Hampton Roads from North Carolina after the battles of Roanoke Island and Elizabeth City. All three took part in the engagement off Newport News when the Merrimac/Virginia destroyed the USS Congress and Cumberland. They then withdrew to the James River. The gunboats Nansemond, Hampton and Drury were added later but the most important division of the squadron consisted of the three ironclads Richmond, the Virginia II and Fredericksburg. The Fredericksburg was the weakest and the Virginia II the strongest. In fact, the Virginia II was one of the strongest vessels that the Confederates ever put afloat, having six inches of armour on the sides of its casemate and eight inches on the ends. This fleet was an important element of the defence of Richmond in 1864-1865. At the evacuation of Richmond, the fleet was burned, and its destruction signalled the end of the coastal navy of the Confederate States. The Confederate Congress voted $2 million in May 1861 to buy ironclad warships from overseas, and by July and August had started work on the construction and conversion of wooden ships. On 12 October 1861, the CSS Manassas became the first ironclad to enter battle when she fought as an armoured battery against Union warships on the Mississippi. Early in July 1861 the Merrimack (renamed CSS Virginia) had been raised and docked, the details of a plan of reconstruction had been completed and work had been begun without waiting for an appropriation. This prompt start led to the surprise victory at Hampton Roads when the ship destroyed the USS Congress and the USS Cumberland before it could be opposed by a Union vessel of comparable effectiveness. The Confederacy built a number of ships designed as versions of the CSS Virginia, and several saw action. In the failed attack on Charleston on April 7th 1863 two small ironclads, CSS Palmetto State and CSS Chicora participated in the successful defence of the harbour. At Mobile Bay, the Union was opposed by the CSS Tennessee, the Confederacy’s most powerful ironclad. Cottonclads were typically more lightly armoured and reinforced than a regular ironclad. For example, CSS General Sterling Price was converted by placing a 4-inch oak sheath with a 1-inch iron covering on her bow, and by installing double pine bulkheads filled with compressed cotton bales. Many cottonclads were outfitted with rams. Vessels with only partial, or thin metal armour were known as tinclads. There were also many unarmoured vessels equipped with guns acting as gunboats. Nearly all of these armed vessels were improvised or adapted and very few were purpose-built for war service. Even though the strategic position of New Orleans and the Mississippi River were of vital importance to the Confederacy, naval operations in the region suffered from a shortage of funds and direction. Even so, purchases and seizures enabled the Confederate Government to equip the largest flotilla of the Confederate Navy at New Orleans. On the 14th January 1862 the Confederate Secretary of War Judah P Benjamin telegraphed orders to Major-General Mansfield Lovell, commanding at New Orleans, to impress river steamboats for service. Fourteen ships were seized the following day to be adapted as a flotilla of rams for the defence of the Mississippi, in accordance with a plan suggested by two steamboat captains, J E Montgomery and Townsend, who had secured the adoption of their project at Richmond through the influence of political friends in Congress. Their scheme had its origin partly in distrust of the navy and the direction of this “River Defence Fleet” was entrusted to the Army. Even the authority of the army officers over the fleet was restricted. Lovell’s fears that the “fourteen Mississippi River captains and pilots will never agree about anything after they once get under way” were to be fulfilled. There were also differences of opinion between Major-General Mansfield Lovell, in command at New Orleans, and Brigadier-General Johnson Kelly Duncan commanding the army in the exterior defences downriver. Four naval officers, Rousseau, Hollins, Mitchell and Whittle, were successively in command of the “Naval Station,” a command of vague and indeterminate limits and there were disagreements between them and their army colleagues. All were perplexed by confusing orders and the presence of independent agents in their field of operations. None believed they had direct authority over the work of building ironclads to defend the city although all were constantly urged to hurry their completion. The Habana was fitted out for sea (it was later renamed the Sumter and used as a commerce raider), the Enoch Train was altered into a ram and renamed the Manassas, the Florida and Pamlico were to be employed on Lake Pontchartrain, the Marques de la Habama (McRae), the Webb, Yankee (Jackson), Gros-tete (Maurepas), Lizzie Simmons (Pontchartrain), Ivy, General Polk and a few others of smaller size were dispersed. In addition, the State of Louisiana and the citizens of New Orleans purchased the Governor Moore and the General Quitman. There were also a large number of flat-boats or coal-barges to be used as fire-ships. In addition to these vessels purchased and altered, the Confederate authorities also built several new ones at New Orleans: three wooden boats, the Livingston, Bienville and Carondelet, and two ironclads, the Louisiana and the Mississippi. The two new ironclads were not finished in time to save the city. The Louisiana, built by contract with E C Murray, was not begun until the middle of October 1861 with machinery transferred from the steamer Ingomar. The ship was 264 feet long and 400 to 500 tons of railroad iron was used in its armour plating. It was badly designed and when it left New Orleans on 20th April 1862 the engines would not work. The Louisiana served as a stationary floating battery and was blown up by Captain J K Mitchell. The other ironclad, the Mississippi, was larger and more heavily armoured, and was constructed by Tift to a novel design. Lacking competent shipbuilders and designers, the ship was built like a house with pointed ends. It was impossible to tow the unfinished vessel up the river and it was burnt before the Federal fleet reached New Orleans. The Bienville and Carondelet were substantial side-wheelers of light draft, finished in March and April 1862 but they were unable to recruit crews and took no part in the defence of the city. The Livingston had been attached initially to the flotilla in the upper Mississippi, before making its way to the Yazoo River, where it was later burnt with the General Polk and General Van Dorn. When the River Defence Fleet was ready, eight vessels were sent up the river under the command of Captain J E Montgomery to meet the Union fleet. They fought ineffectually near Fort Pillow and then at Memphis on 6th June and were annihilated; four vessels were captured and three destroyed. The Van Dorn alone escaped to the Yazoo River and later burnt. The other six vessels of the River Defence Fleet were retained at New Orleans, but all were captured or destroyed after contributing little to the defence of the city. On August 27 1862 the Confederate Navy had 44 vessels converted to warships, not counting ironclads. Twelve new vessels were built and completed as warships, 10 were partially constructed and destroyed to save from the enemy; 9 vessels were under construction, 12 ironclad vessels were in commission, 4 had been completed and destroyed or lost by capture, and 23 were in progress of construction. There was also one ironclad floating battery in Georgia, one ironclad ram in Alabama and numerous privateers operating against Union merchant shipping. In order to make war on the commerce of the United States, the Confederacy resorted to privateering, a legitimate practice for states not signed to the Declaration of Paris. In accordance with the President’s proclamation of April 17th 1861 and an Act of Congress of May 6th 1861, letters of marque were issued by the Confederate Government to owners of private vessels, authorizing them to cruise against the United States merchant fleet. Under this authority, more than twenty privateers were fitted out and made cruises during the summer and autumn of 1861. A number of Federal ships were seized after the opening of hostilities, among which were the revenue cutters Aiken, Cass, Washington, Pickens, Dodge, McClelland and Bradford. These were all were fitted out for privateering as quickly as possible. Most of the ships completed by the end of 1861 were sent to sea as privateers to hamper the Northern merchant marine. Others were used to guard the mouths of the rivers of the Confederacy, while several of them served on the rivers. The George Page (renamed the Richmond) was a small and lightly equipped steamer, which demonstrated against the Union forts on the Occoquan River and Quantico Creek and occasionally firing into them. At first, most Confederate privateers operated from New Orleans, but activity was soon concentrated in the Atlantic Ocean from Charleston and Hatteras Inlet as the Union Navy began to extend its operations. Confederate privateers claimed sixty or more prizes although the exact number of privateers or of prizes is hard to establish. The 1856 Declaration of Paris outlawed privateering for such nations as Great Britain and France, but the United States had neither signed nor endorsed the declaration. Therefore, privateering was constitutionally legal in both the United States and the Confederate States, as well as in Portugal, Russia, the Ottoman Empire and Germany. 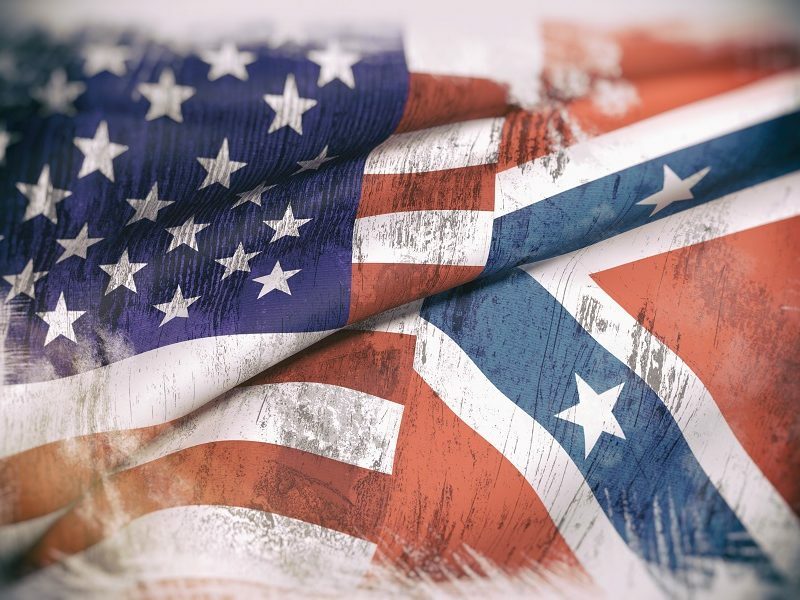 However, the United States did not acknowledge the Confederate States as a nation and denied the legitimacy of any letters of marque issued by its government. Confederate privateers soon became such an irritation that US President Abraham Lincoln issued a proclamation that all medicines to the South to be contraband, and that any captured Confederate privateers were to be regarded as pirates, and their crews and officers would be subjected to appropriate punishment. Three privateers were soon captured; the Savannah by the brig Perry, the Petrel by the frigate St Lawrence and the Beauregard by the bark W G Anderson. The crew of the Savannah was tried for piracy, but the jury disagreed on the verdict. While the sailors were awaiting a new trial, the Confederacy imprisoned an equal number of officers of the Union army. They were held as prisoners of war, and Federals were notified that whatever punishment was inflicted upon the privateers would also be imposed upon the hostages. The case collapsed and the Union ultimatum that privateers were pirates was rejected by the international powers and subsequently men captured aboard privateers were treated as prisoners of war. Privateering after the first year was largely suppressed by the blockade, which took away the profits of the sale of prizes. Privateers were gradually taken into the Government service or converted into blockade-runners. On 9th May 1861 James D Bulloch was commissioned to go to Great Britain where he would attempt to have suitable ships constructed, using funds placed at his disposal by representatives of the Confederacy. The matter of building warships in Britain presented many difficulties. The British policy of’ neutrality classed any ship of any belligerent that took on armament as contraband, and in breach of the neutrality agreement, and it might be taken possession of by the British Government. After the practice of privateering came to an end, the Confederate Government depended almost wholly upon European shipyards to supply sea-going cruisers. Bulloch at once entered into negotiations for the building of two ships, to be delivered as his personal property. While designed to be suitable for privateering, they were not to be armed or equipped as warships by their makers. In spite of precautions, the ships were not more than half completed before suspicions were aroused. Although certain that the ships were destined for the Confederate navy, there was no tangible evidence upon which they could be detained. Both boats were completed and sailed out of British waters without contraband stores aboard. They were later equipped at other ports from ships bringing arms and ammunition. These were not privateers but commissioned ships-of-war of the Confederacy. Bulloch’s enterprise resulted ultimately in the acquisition of the Florida, Alabama, Georgia and Shenandoah, all of which made successful commerce-destroying cruises. Attempts to secure other vessels, including the Alexandra, the Pampero and two armoured rams built by Laird in Scotland, were foiled by the intervention of the British Government. Six vessels were built in France, four corvettes and two ironclads, but only one of the latter, the Stonewall, reached Confederate hands, but too late in the war to be of value. These commerce raiders or cruisers were lightly armed, with a couple of large guns or a pivot gun and were usually fast. They planned to add ironclad cruisers to the fleet, successfully procuring one, but this was too late to serve in the war. Most of the ships built for the Confederacy abroad were manned by recruits gathered on foreign shores, including some natives of the Confederate States, but the officers were all Confederates bearing Government commissions. Commander John M Brooke and Lieutenant Hunter Davidson led the branches of ordnance and torpedoes. Brooke designed a banded gun used widely during the war. More sigmnifciantly, Davidson helped to develop the novel torpedo (explosive naval mine) service, which perhaps contributed more to the defence of the Confederacy than all of its conventional ships. They were employed frequently and to great effect in the defence of ports and to block passage along navigable rivers. The Confederates constructed a number of submarines or submersibles. The Pioneer and the Bayou St John never saw action but the H L Hunley, built in New Orleans as a privateer by Horace Hunley, later came under the control of the Confederate Army at Charleston, South Carolina. Manned partly by a CS Navy crew and partly by army volunteers she was the first authentic submarine to sink a ship in a wartime engagement but was lost after the successful attack on the sloop-of-war USS Housatonic.